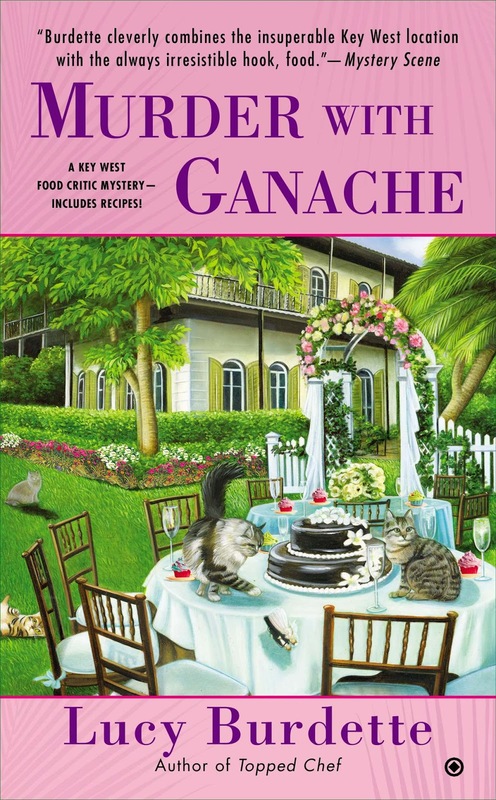 As many of you know, MURDER WITH GANACHE was published last month. Hooray! I was very proud of my part in this book. We made it through spring break, a family reunion, and a wedding, and hardly anyone died. I don't mean to joke about that because murder is a very serious thing and not one bit funny at all. It's just that we characters get a little slap-happy sometimes, you know? My writer and I threw a big launch party and visited some book clubs and went all over the world online. And we got some very good publicity too! Isn't this the coolest thing ever? 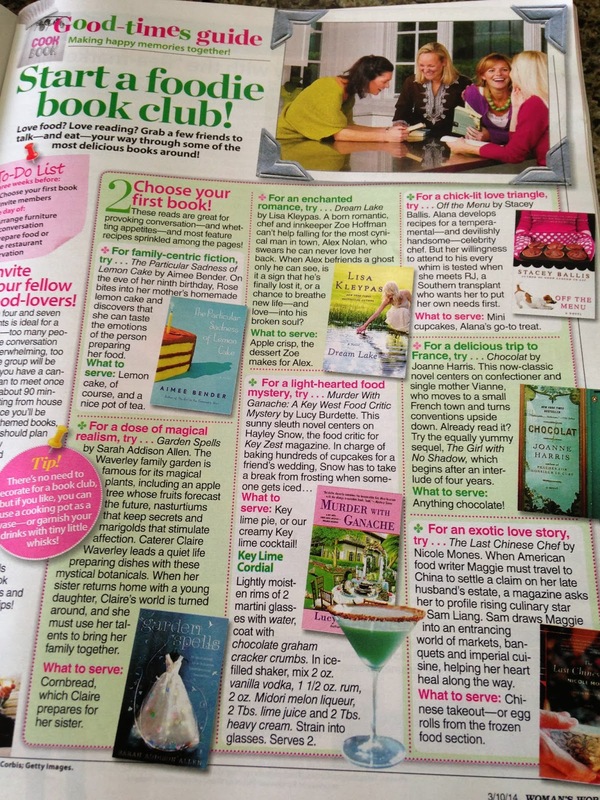 It was featured in Woman's World, the March 10 issue. Of course they didn't mention me or Evinrude or Miss Gloria, but if the ladies who buy the magazine read the book, they'll find out soon enough who's who. So you might think that I could rest on my laurels for a while--eat some good meals and write up a few easy reviews. But no, that's not how this mystery business works. We're on to the fifth Key West adventure--in fact it's due in a couple of weeks. And I found some notes on my writer's desk that make me very, very nervous. Things like: What would make Hayley's life more difficult? What would test her physically, emotionally, morally? What might expose her deeper side to the world? Good gravy, can a character not get a rest? What do you think, how worried should I be? You can find Lucy Burdette's Hayley Snow Key West mysteries wherever books are sold. Find out more about the books at her website, or on Facebook, Pinterest, or Twitter. Be afraid, Hayley. Be very afraid. Yes, you should be afraid. I am, too. What did we ever do to these authors? Poor Hayley. She is so cute that I could hear what she's up to every day. Now I'm going to be worried about her.